Manaslu trekking is one of the best and popular treks in the world because of it is high altitude, 10 peaks of over 6500, unspoiled and culture of local people (Tibetan influenced). As a past days, it is no longer extreme trek anyone who is healthy can do Manaslu Trekking. The Manalsu was open for trekking since 1991, it is under Manalsu Conservation Area Project (MCAP) and National Trust for Nature Conservation (NTNC). Mansalu Conservation Area Project (MCAP) covers a 1663 sq.km where 2000 species of plants, 33 mammals, 110 birds, 3 reptiles and 11 butterflies. Manaslu has always offered to trekkers high altitude glacier lakes with biological diversity. Most follow Buddhism, so one can find Buddhist monasteries like Shringi Gomopa in Bihi, Mu and Rachen Gompas in Chhekampar. One must need special permits that are arranged by trekking agency with 4 p.p size photos. One can see Blue Sheep and Black Lipped Pika easily, but do not forget to see indigenous wildlife and nature. Our company "Nepal Glacier Treks" had been working for operating trekking packages for trekker of this region since 2006 and we had very successfully operate trekking in Manaslu and also expedition in mount Manaslu. Since our company had been providing travel service for all visitors for all over the world. Our team, high altitude guide, porter and other administrative staffs always stand for your satisfaction. We hope you find our Trekking guide and porter more friendly, do not hesitate to tell your feedback to us so that we can improve ourselves. They had always been great clients and friends with us. We can also always provided an option for 18days itinerary, 14 day itinerary, 22 days Manaslu trek with Tsum Valley Trek. If you love to hike in Manaslu region, there it two best seasons for trekker-Oct-Nov and April-May. One can get experienced Mt. Manaslu 8156 m (26,759 ft.), 8th highest peak in the world. It covers 6 climatic Zones. The Buddhist temples, architecture and experiences tradition of Tibetan, Trans-Himalayan high pastures. You can see raging rivers, high mountains, and suspension bridges on the way. The local people always offer great accommodation, internet access, electricity for recharging gadgets at most lodges, now days teahouse is gaining popularity but one can also do camping. Don't hesitate to give an inquiry to us, our client is 24 hours online for your queries. Teahouse accommodation throughout hiking in the mountain. Manaslu special trekking permits, TIMS' card, and other necessary paperwork. Tips, (for staffs, guide, and other porters). All personal expenses (STD, ISD calls, battery recharge, bar bills, shower, heater etc). Other monuments and sightseeing fees, not included in the package. Any other expenses, not mention above cost included section. International airfare, to and from Nepal. Day 01Arrive Kathmandu (1340m)Arriving in Kathmandu, the city of Temples, may find unmanaged city, but do not judge it by covers. The Kathmandu city history back to 185 B.C, time of Lichhavi period. The city itself centers heart for every people in remote areas. Our company staff will be waiting in airport for you, and you will transfer to hotel. Day 02Kathmandu City Tour and Trek Preparation Today, early in the morning having breakfast and we start our local Kathmandu city tour with decade English speaking city guide. According to our program, we start from Pashupatinath temple, Boudhanatha, Monkey Temple, Kathmandu Durbar Square. After city tour back to the hotel and refresh then pack trekking equipment for our adventure trekking. Overnight stay at hotel in Kathmandu. Day 03Kathmandu to Soti Khola (730m) via Arught Bazaar 7-8 hours Kathmandu the city of Temples, popularly habitant of Indigenous People-Newar but now it is the center of every person. If you like to stay one more day and explore the city or after finishing your trek you can wander around the city, talk with us. Arughat Bazar is a small market town located on two sides of the Buddhi Gandaki. The road from Gorkha Bazar reaches the western side of Arughat and the eastern side road from Dhading. The condition of the road is not good, but the government of Nepal is working on it during rainy season the road is almost inaccessible. Our group will travel by our jeep which takes a full day from Kathmandu to Arughat Bazaar Again Drive to Soti Khola (730m) for 1 hour, the dirt road pass through scenery of rice fields, waterfalls, greenery and villages on the way. Locals houses with dark salte roofs but the area was affected by the 2015 earthquake so you may not see this. We pass the Arkhet Khola and reach Soti Khola. Soti Khola is a tiny Village, nice accommodation here. Our overnight at Soti Khola. Day 04Soti Khola to Machha Khola (930m) 6-7 hours The map distance between Soti Khola to Lapubeshi is shorter than Arughat to Soti Khola- the trail is a bit rough, the trail will go up and down with rocky parts. The paths are narrow, affected by landslides. So it takes more time. The Lapubeshi is small village covers hills and trial, the village offers lodging for trekkers. The condition of the trail makes trekkers to hike fast so it is also suitable for hall day treks; we hike for 3-4 hours to Lapubeshi. The villages, local people and culture are part that makes you attract about this place and also tropical climate with vegetation, suspension bridges, ups and downs, slippery paths in rainy, add more beauty in the trail. Machhakola is small villages built on the slopes of the hills with many lodges. It is the best place to stay at night and here you can find a medical clinic for a basic medical checkup. Day 05Machhakola to Jagat (1340m) via Tatopani 6-7 hours As we take our breakfast, get ready to trek to Jagat. Our team walks towards the small point called Tatopani. The trail from Machhakola to Tatopani is narrow between the Budhi Gandaki and a tremendous Cliff. The trail here is same as we trekked yesterday, ups and down are common, so gentle walk is best for trekking. You can find 2/3 houses on his trail. This lodge provides basic accommodation for trekkers and huge cliff is common on the trail. The route takes you up above 1000 m from sea level, around an hour hike takes you to Dovhan (1070m), Dovhan is a small village it is capable us to provide basic accommodation option. The trail leads us next point-Shyaule Bhatti- after a 1 hours hike, a small teahouse. It is an also good point to stop for a rest here. Furthermore, we climb up for 1 and half hour and can find tea house. In Yuru Phat is the point where you can experience the Mother Nature, many perfect place is available for lunch. From Yuru to Jagat it takes 2-3 hours to reach. In Jagat village you can see MCAP office, your trekking permit and MCAP ticket checked here and you can ask your guide more about MCAP. Day 06Jagat to Deng (1860m) via Philim and Pewa village 6-7 hours Salleri is next point you hike, the trail descends to nice and small village where the trail is a slate paved, small lodges and locals (trekker often passes the Jagat and come to stay the night at Salleri). Sirdibas (1430m) two and half hours from Jagat, as on the way you can see nice stone houses and slate roofs. There are no accommodation facilities for visitors, water operated mills in the small village of Ghate Khola. Again, you can see the check post to show our team Manaslu Conservation Area Project (MCAP) and permits. You will cross the longest suspension bridges, step by step you climb to Philim. The trail leads us to a nice view to waterfall, river and scenery of nature. An hour of the trek our destination point is Chiso Pani where you will find some tea houses. Ekle Bhatti (1600m) is a small point on the route, you can find lodges. After an hour walk from Ekle Bhatti, you will find two trails- way to Tsum Valley and Manaslu Circuit. Our team will continue to do main trek route through crossing bridge Budi Gandaki. Passin Pewa, the trail leads us to Deng (1860m) after half and an hour walk. 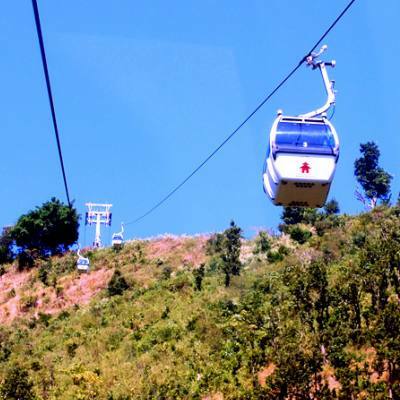 Deng village is also on a mountain slope. Deng is also the best point to stay and get some nice time and you can see new lodges are operating here. Day 07Deng to Namrung (2660m) 6-7 hours The trail passes through the small village Ranagaon (1980m), the gorge of Buddhi Gandaki, high mountains. Bihi Phedi, 2 hours walk from Deng and stop here. Bihi Phedi (1985m) is the village; most part of the village is located above the trail. 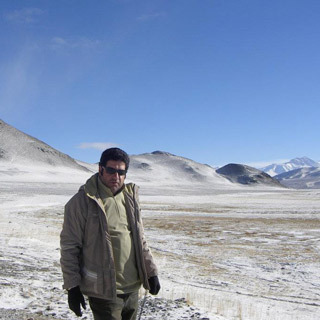 You can change your itinerary and tell your guide to explore neighboring village Gompa. Bihi Phedi to Prok is our team next destination for today, the trail will climb through the forest to the village of Prok. After hitting up with the trail crossing Gandaki, the path leads to forest and Village Prok. Park is a small plateau above the river, you can see beautiful traditional houses, wide fields, Gompa. Park also provides lodging for trekkers and the best place to explore the lake called Kal Tal. Our trek continue towards Namrung from Prok.Our team descends down to Ghap, after an hour walk. We can see campsites, lodges and trail Ghap is silent forest. You pass the small villages, forests, wooden bridges and rivers. After 2 and half hour walk from Ghap we reach Namrung. Namrung provide nice accommodation, and find more lodges after leaving the village. Our stay will be in this beautiful village. Day 08Namrung to Samagaon (3530m) via Punggen Glacier 5-6 hours Today we climb more, as we start our trek-passes through the beautiful small plateau of Bhanzam, barley fields. We reach to Lihi (2910m) Lihi is also called Logan, a small village. Lihi has Hinang Gompa and best pace to see Himal Chuli range. From Lihi to Lho, it takes around 2.5 hours to reach. The trail leads us to so after crossing the Hinang Khola. Lho is has large Gompa, the Gompa is located on the slopes of a hill above the village. In Lho, there is top of the hill, it is considered as best view point of Mount Manalsu. You can also get a great view from the gate of the Gompa. From Lho 1.5 hour walk we reach to Shyala (3520m) While heading toward Shyala, climbs up with forest. 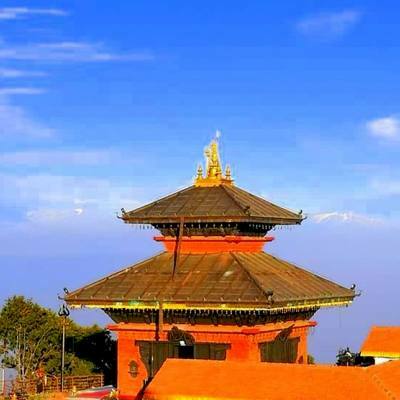 Shyala offers best point to see mountain scenery and natural beauty. Most modern houses are built here. From Shyala to Samagaon, it takes 1.5 hours. The trail from Shyalapass with slope (that drains Punggen Glacier) and nice flat area with yaks grazing. Samagaon is one of the best villages to stay while trekking in Manaslu region. Samagaon is the nearest point to Manaslu Base camp. It is the best option to stay in Samagaon for acclimatization, enjoying the locals and a day trip to Manaslu Base Camp. Day 09Samagaon to Samdo (3800m) 4-5 hours The trek route from Samagaon to Samdo pass through north of the Budi Gandaki on the upper part. We are gradually going up and up towards Samdo, Budi Gandaki River actually starts from here, Larke Khola and the river coming from Samdo Glacier. Sambo is a small village located just below the Samdo Peak (6335m) and the Samdo Glacier. Samdo Village can offer us good accommodation to us. We can stay here one more day to visit Tibetan Border. Day 10Acclimatization at Samdo Rest after long day trek brings you great feeling. Staying at the height of 3800m and acclimatization with its climatic zone. We hike up to 100 m up and descend down. Exploring the tiny village and it religious beliefs, walking around its surrounding. The Lunch at noon and get rest for an hour. Further ahead to explore a half day. Day 11Samdo to Dharamshala (4460m) 5- 6 hours Today trek starts after crossing the Athahra Saya Khola and pass with Larke Khola, gradually climbs up to point called Dharmashala (Larke Phedi). Dharmashala is one of the best places to stay and gain energy for tomorrow pass (Larke). You can get touristy food at this high point too. Overnight at Dharmashala. Day 12Dharamshala to Bhimtang (3720m) Larke La Pass (5106m) 7-8 hours This highest pass that we come to do, so it's a big day. We cross the Larke and pass other side, our team walk before first light (around 6 am). The trail goes rockier as we go up, on the way you will see a Larke Rest House and after 2 hours of hike you can see Lake here. Before the Larke Pass you can experience rocky hills, snowy ridges, small shallow lakes and the prayer flags. After the Larke pass, we descend down towards Bhimtang with slippery trail. The trail leads first to Salpudanda glacier and Bhimtang glacier towards Bhimtang. You can also see the Pongkar Lake on the west side of the trial. It takes us 3-4 hours descend down to Bhimtang. Bhimtang lies between Bhimtang Glacier and the slopes of the Larke Himal range. It has few lodges and scenery charming. Day 13Bhimtang to Gowa (2560m) 4-5 Today it takes a full day to reach Gowa, goal is a village that comes along on the trail. It offers basic accommodation for trekking. As in Bhimtang we cross the Bhimtang Glacier, gradually descend down and pass with natural vegetation, colorful and lush life, decorated with prayer flags, surrounding mountain, forest with firs, and scenery. The trail brings us to Yak Kharka, it offers us basic accommodation and after 2.5 hours walk reach to Soti Khola. From Soti Khola it takes us 1.5 hours to reach Gowa. Day 14Gowa to Tal via Dharapani (1700m) 5-6 hours As we start our trek we reach to Tilche village (2300m), takes a 2 hours passing through beautiful forest. It is rich in agriculture activities, from Tillije you cross Dudh Khola and reach Thonche within 2 hours. A long suspension bridge on the way and finally our Manaslu trail route finish here, but crossing bridges lead us to Marsyangdi River to Dharapani. We join to Annapurna Circuit Trekking route. From Dharapani to Tal, follow down the Marsyangi river trail. On the other side of the trail, road under construction from Syange to Chame. You will see many other trekkers on this route in trekking season. Day 15Tal to Jagat (1300m) 4- 5 hours From Tal to Jagat, you can see a dirt road. We walk with trails along with Marsyangdi. If you get uncomfortable to walk in the dirt road, do not hesitate to tell your guide. Day 16Jagat yo Syange (1100m) 4-5 hours Today also will be half day trek and continues with dirt road. Syange has offers nice accommodation for trekkers. Day 17Syange to Kathmandu (1340m) 7- 8 hours Our company jeeps or bus will be waiting for you. Officially we completed our Manaslu Circuit trek, hope you explore the culture, local tradition, lifestyle and so on. It will be full day drive to Kathmandu and you will reach hotels, staffs of the hotel are waiting for you with a warm welcome with a smile. Day 18Final Departure!!! Our office representative or guide will take you to airport. Saying fare well to Nepal and hoping to see you soon in Nepal.